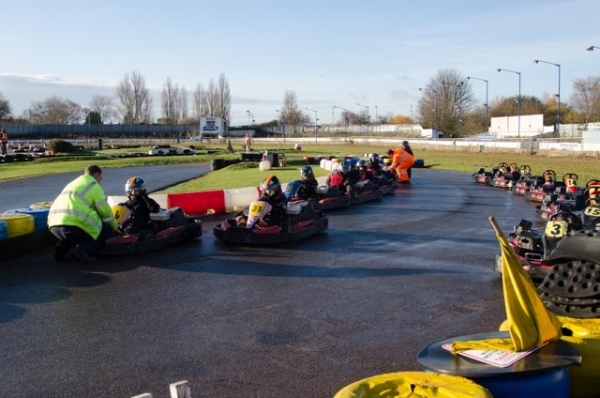 What an amazing day we all had… with special thanks to Oxford Carting and their team for their incredible generosity in providing the setting for a great family day out carting. Alec’s Angels also provided the refreshments for the whole day, for all the families. 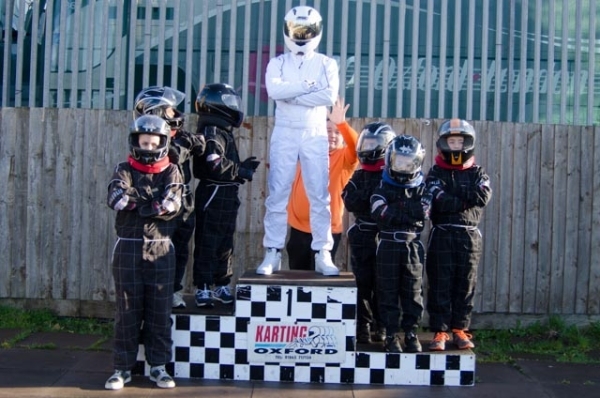 The day began with the younger group (8 to 11 year olds) arriving to be greeted by Our Stig, The children went on the track and Our Stig joined them for some racing fun. 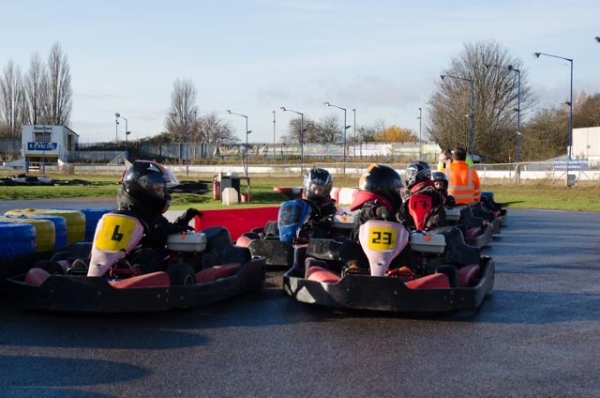 The track was just like a normal road surface, with a little dampness and interesting corners that made it a challenge for the children to tackle. 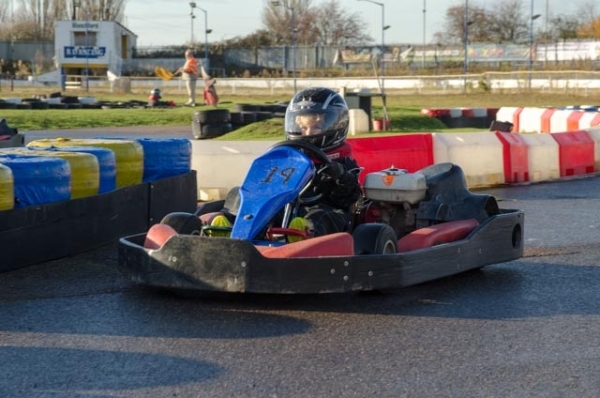 The second session (12 – 15 year olds) went on and again, Our Stig made the race very exciting. 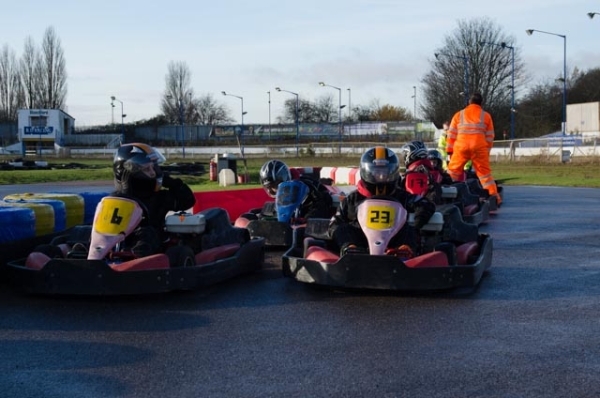 With the track being dryer for this group, they were able to put up a good battle to Our Stig. 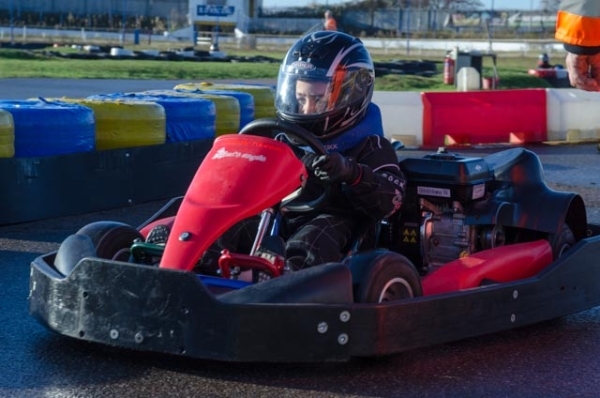 The third session (16 and over) was like a bare knuckle ride, with extreme speed in places. 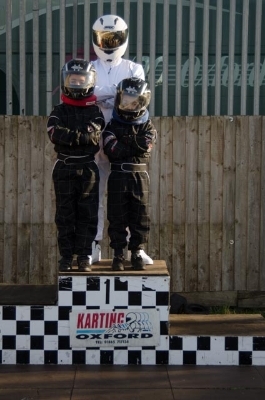 The session for this age group was a race for first place, with no holds barred. 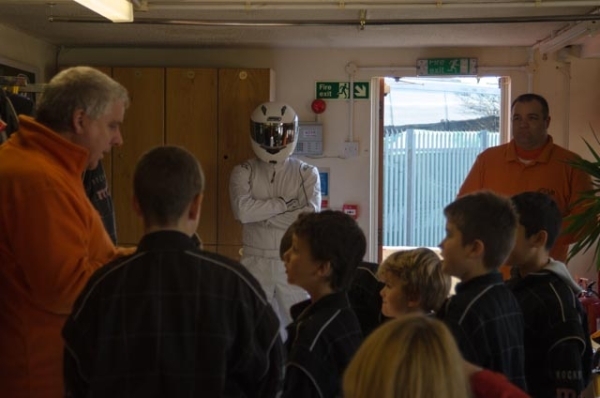 At the finish of the day, each driver was presented with a medal, a certificate and a photo opportunity with Our Stig. It was really wonderful to watch the children collect their awards. We would like to give a huge thanks to all our volunteers, the families and the drivers for making this day very special for everyone. 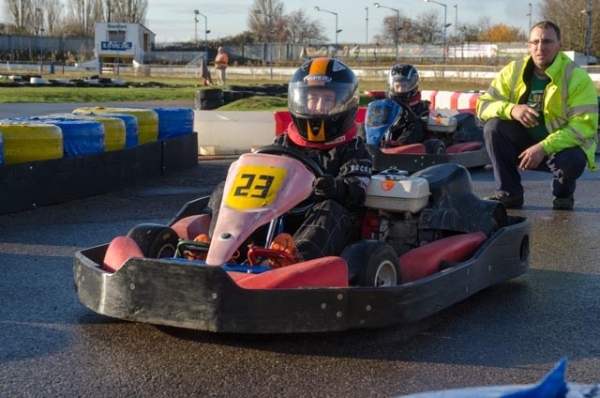 We would also like to thank Steve and Alan at Greenlight Autos in Buckingham, for the time and energy they spent in making a customised Alec’s Angel’s cart with a dual passenger driver seat. 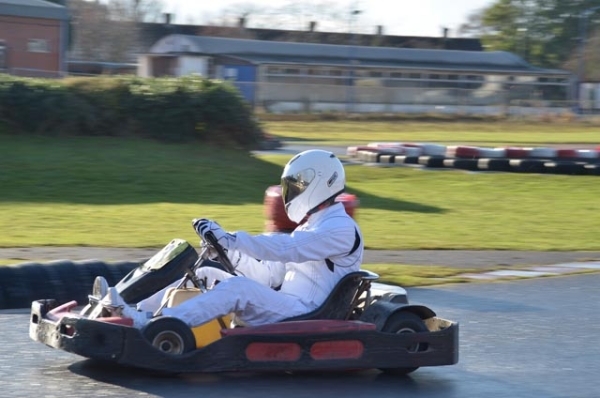 The cart enabled Bryn to race with Our Stig. 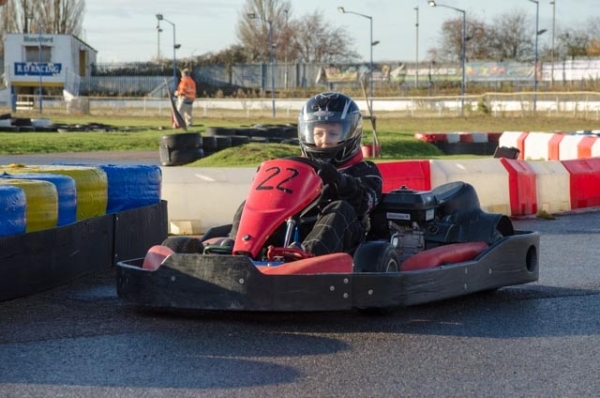 After the event, Oxford Carting, the owners of the track, said that they got a great deal from the day and enjoyed watching the children have so much fun that they waved their fee and asked that the money be donated back to the charity. They said that it would mean a lot to their team to help Alec’s Angels bring more smiles to other children. 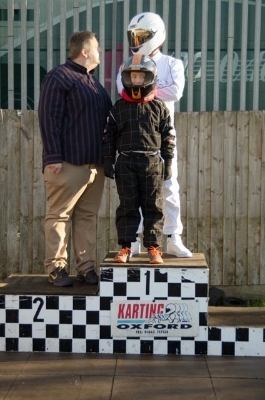 Thank you so much for such a fabulous day at Oxford Karting on Sunday. 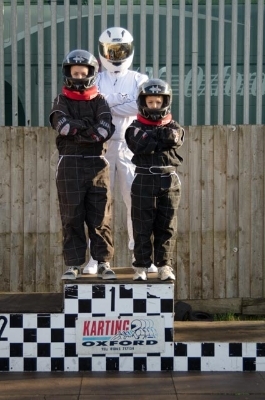 My three boys are still glowing from their experience with The Stig. Aidan and Morgan got to do a little presentation at school with photos and certificates. Bryn took a write up of the day to school and its also on his Team Bryn facebook page. 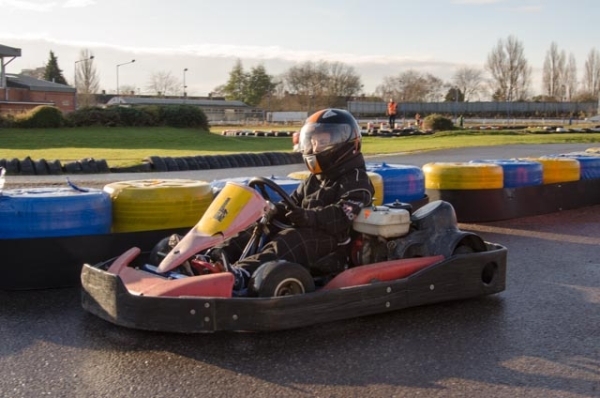 Then I got dressed in nomex (a race suit), a neck brace and helmet and the marshalls helped me get in a special 2 seat go-kart with the Stig. It was amazing … If Bugatti did wheelchairs they would be like this!! 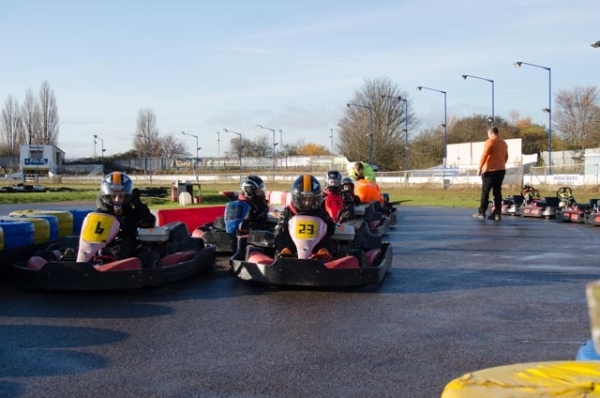 The faster we lapped the more I giggled. 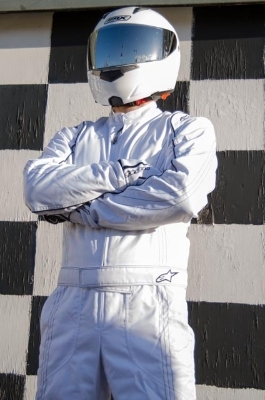 The more I giggled, the more I dribbled (sorry to whoever the helmet next!). 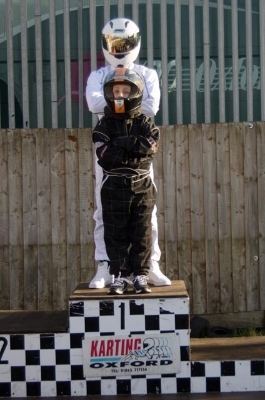 I think the g force glued a big smile on my face and The Stig gave me a medal! 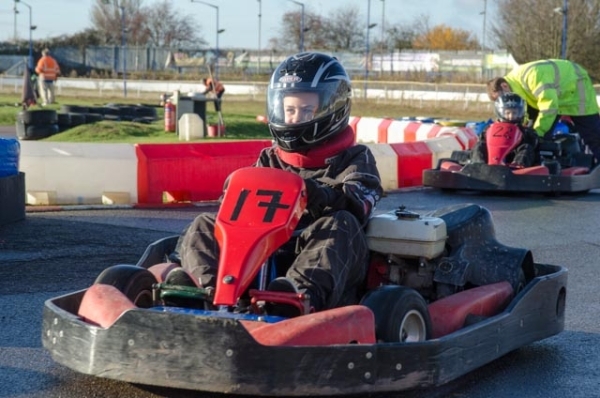 Morgan then did some crazy sideways power laps with The Stig and Aidan raced him head to head. 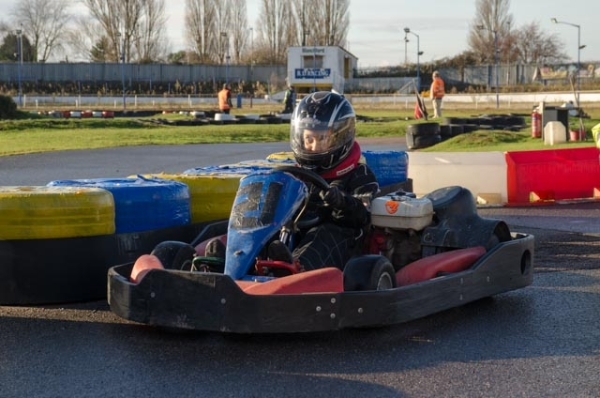 They kept swapping lead but Aidan won … Just !! What a fabulous day! 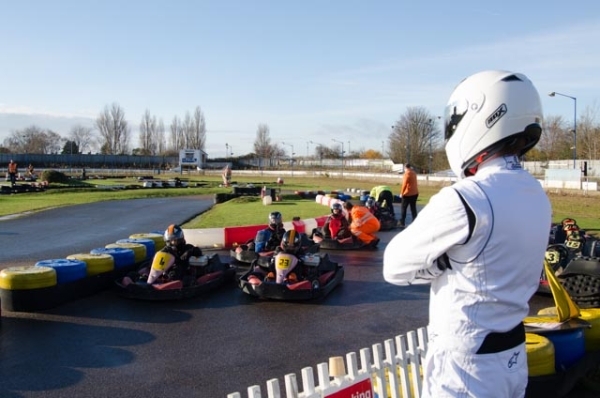 But best of all, when The Stig helped me out of the go-kart, he had to lift his visor a little … and I saw what was behind the visor!!!…. …. but I promised not to tell anyone …and you wouldn’t believe me anyway!!! Thank you so much again to Alec’s Angels for giving us all such fun memories. Thanks again, we all had an amazing day.